Write.. did i spell that right? 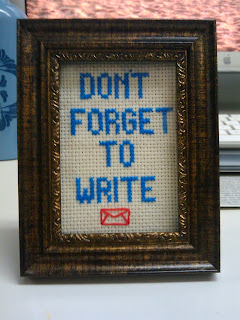 Anycrazy Here is another tiny tiny framed cross stitch that will be for sale at Renegade. If you have any other clever ideas for me to cross stitch or would like to order one of your own please let me know!! I think you need one that just says "Filth" in a really pretty script.